Third-party mediation or consensus: What's the way forward for Brexit deal? The European Parliament on Tuesday overwhelmingly voted for rules aimed at protecting whistleblowers from reprisals following corporate scandals such as Dieselgate and Cambridge Analytica. With 591 votes in favour, 29 against and 33 abstentions, the parliament backed rules to boost the fight against fraud, corruption, corporate tax avoidance and damage to people's health and the environment. Recent corporate scandals "have helped to shine a light on the great precariousness that whistle-blowers suffer today," said Virginie Roziere, the French socialist who steered the legislation through the assembly. The vote in parliament sends "a strong signal that it has heard the concerns of its citizens, and pushed for robust rules guaranteeing their safety and that of those persons who choose to speak out," the MEP said. The EU parliamentary vote came days after Julian Assange, founder of the Wikileaks whistleblowing site, was arrested and carried out of Ecuador's embassy in London. He faces possible extradition to the United States on computer crime charges. During the EU parliamentary debate on Monday, French MEP Younous Omarjee, of the leftwing France Insoumise (France Unbowed) movement, mentioned Assange as a whistleblower needing protection. The new rules — proposed by the executive European Commission a year ago — must still be formally approved by EU countries that have already shown support for them. Once approved, member states will have two years to comply with the rules. 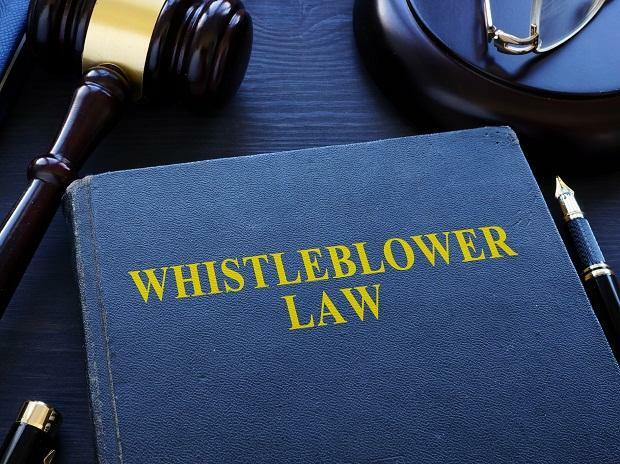 The parliament said the rules offer the first EU-wide protection for whistleblowers who will be able to choose between internal and external reporting, for example to national or EU authorities. The rules aim to both protect and encourage reporting of breaches of EU law. These potential breaches cover tax fraud, money laundering, public procurement, product and transport safety, environmental protection, public health, consumer protection and data protection. The rules also aim to ensure information disclosed remains confidential. They will, if adopted, also protect those dealing with whistleblowers, including colleagues, relatives and investigative journalists, the parliament said. It said EU member countries must offer whistle blowers "comprehensive and independent information" on how to report breaches and pursue their cases while providing them with legal, financial and psychological support. Protection for whistleblowers is patchy across the bloc with only ten countries providing comprehensive legal protection: France, Hungary, Ireland, Italy, Lithuania, Malta, Netherlands, Slovakia, Sweden and Britain. The EU Commission said whistleblowers have already played an important role in the Dieselgate scandal, where Volkswagen was discovered to have used devices to hide diesel emissions. It also recalled how they helped expose the scandal at Cambridge Analytica, the now defunct British data consultancy accused of having harvested the data of millions of Facebook users without their permission. MEP Roziere also highlighted other scandals, like LuxLeaks and the Panama Papers, which have exposed tax evasion by multinationals.